Picking a Peck of Peppers? 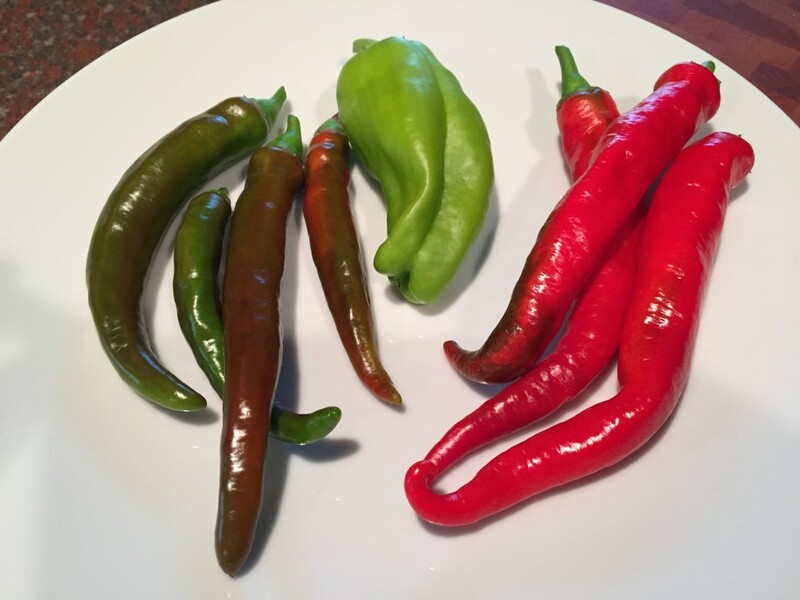 You are here: Home / Week by Week / Picking a Peck of Peppers? How many peppers are in a peck? Inquiring minds want to know. Hold on – checking Wikipedia…. A peck is an imperial and United States customary unit of dry volume, equivalent to 2 gallons or 8 dry quarts or 16 dry pints (9.09 (UK) or 8.81(US) liters). Two pecks make a kenning (obsolete), and four pecks make a bushel. 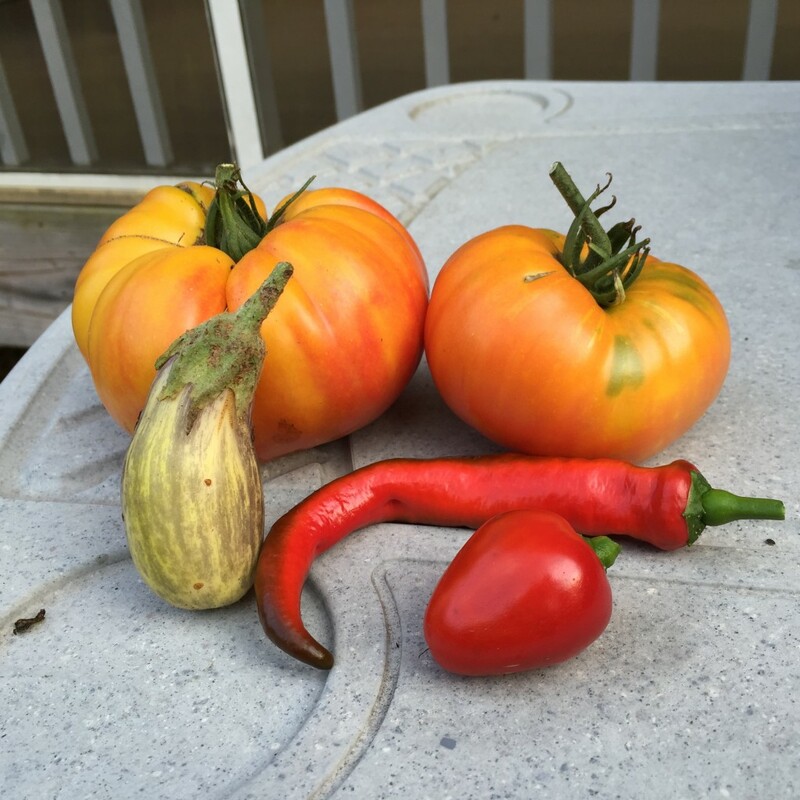 So, we didn’t pick a peck of peppers, but a nice handful anyway! Week 15 is clearly pepper week. We had a total of 4 more Holy Moles, another Cubanelle, a Cherry Bomb and four more Cayennes! Since I really wanted eggplants this year and the one we planted has been shaded by the giant tomato plants, I thought about possibly planting another small variety in an empty space. Unfortunately, there weren’t any plants to be found as it is on the very end of successful planting time. So – next year! 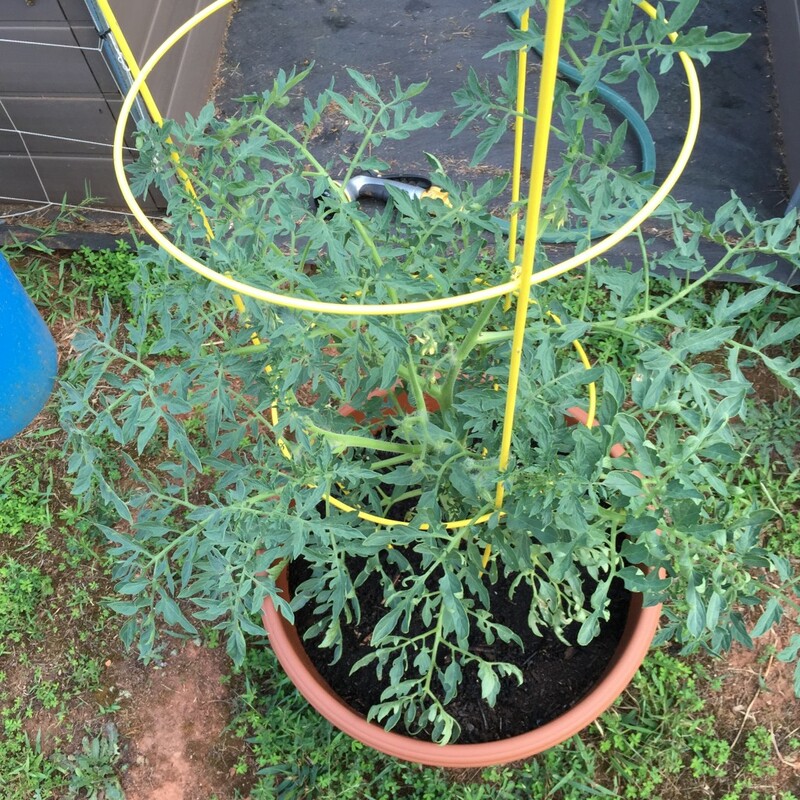 The Silvery Fir tomato is doing well – this is the one that we planted from seeds sent by GrowJourney in May. Speaking of seeds, I can’t wait to try the seeds that are coming this month. Chioggia Beets, Chicory, Russian Kale, Everlasting Spinach and Sprouting Broccoli. These like colder weather so won’t be planted for another month and a half, but I can’t wait!